Discussion in 'CB Classifieds' started by microstar, Sep 14, 2018. 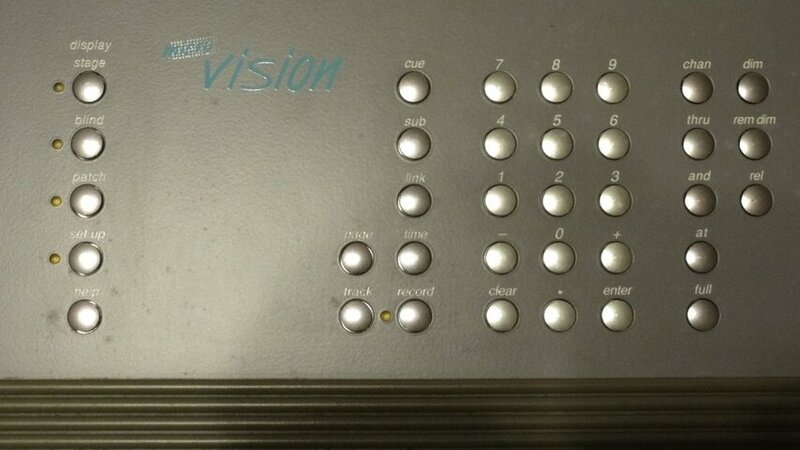 This is an ETC Microvision console (not the FX version). 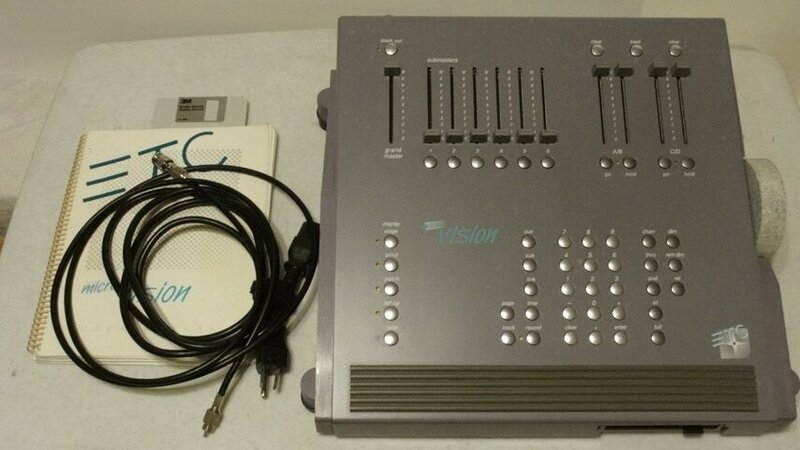 125 control channels, full 512 channel proportional softpatch, 5 pages x 6 submasters, 200 cues per show with up to 5 shows recordable on the 720K DD 3.5” floppy disk storage (one disk included). Note: do not use 1.44mb HD floppies. 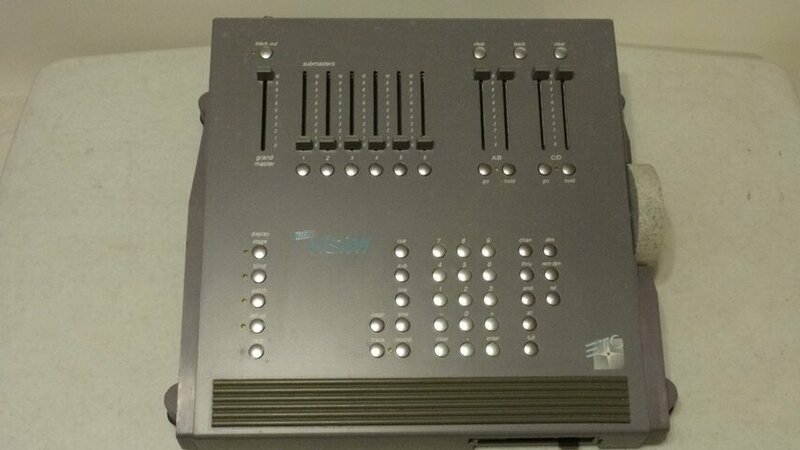 Two timed faders with GO/HOLD/BACK and CLEAR buttons. 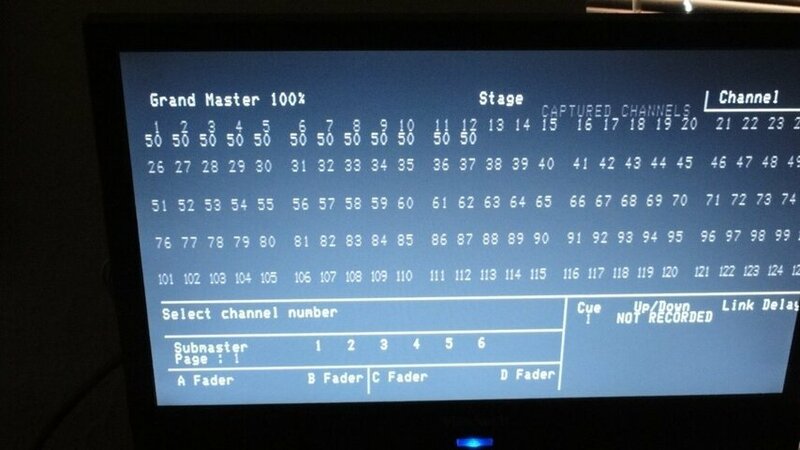 Four selectable display modes: Stage, Blind, Setup, and Patch. Many other features such as insert cues, delay times, effects section, and HELP key. Standard 5-pin DMX output. The video outputs are CGA-type 9-pin and composite video BNC. 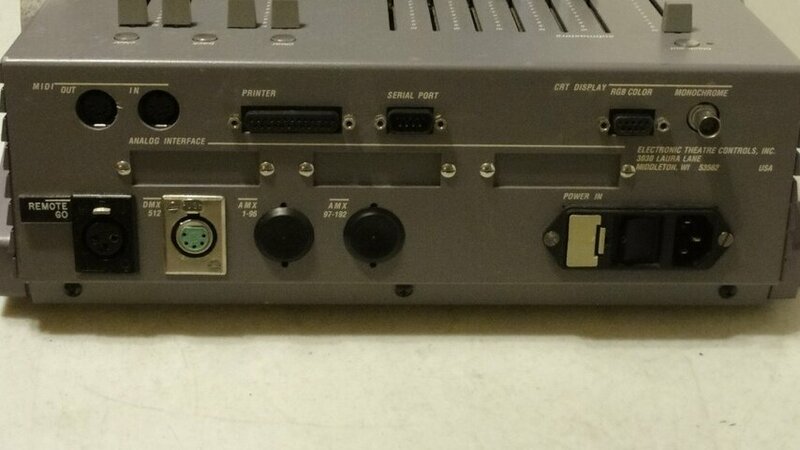 A BNC (console out) to RCA composite video cable is included and was used to display the Bootup and Channel Levels screens. 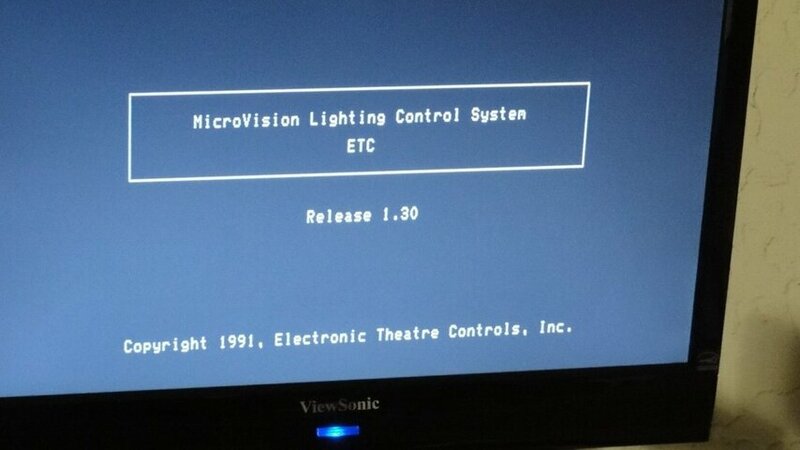 The photos are off a LED flat panel monitor using its CV input. Inexpensive generic BNC CV to VGA Converters (not included) are available which allow use of any flat panel VGA monitor. A VIDEO MONITOR IS NOT INCLUDED. Only 14.5” W x16.5” D x 9” H and weights 9 pounds. $4600 price tag when new in 1995 . ETC still offers limited support! In excellent condition and works perfectly. Rose03 and RonHebbard like this. @microstar An ETC console with both DMX512 and AMX1-96 & 97-192 outputs AND the unforgetably cute little 'Fred Flintstone Bed Rock' rotary encoder wheel. Definitely cutting-edge ROCK BOTTOM priced technology at the time. I rented one from Christies Toronto in 1991 for a small cast musical in Hamilton's Theatre Aquarius' black box studio space and it performed flawlessly for the entire three week run. Thanks for the jaunt down memory lane. Good thing you've still got that disc for it. Programming on that thing must be visionary, eh eh? @microstar , oh how you tempt me! ETC's answer to Strand's legendary, groundbreaking and oh so affordable Mantrix 2S. Aw, look; it's a little baby Express. We've actually still got one of these at the college, I think. Yes, please PM me for details! I apologize for my idiocy, but I am new to this site. Could you point me in the direction of PM? @Rose03 Hover your mouse over @microstar 's pseudonym and left click. This should open his profile. Within his profile find where it says: Start a conversation or begin a conversation. On this forum ALL PM's are private with not even DVS Dave, the sites owner, being able to read your PM's unless you also tick the "Share with others" box. In a moment I'll send you a PM and you should find a red ALERT momentarily in the upper right corner of your screen.